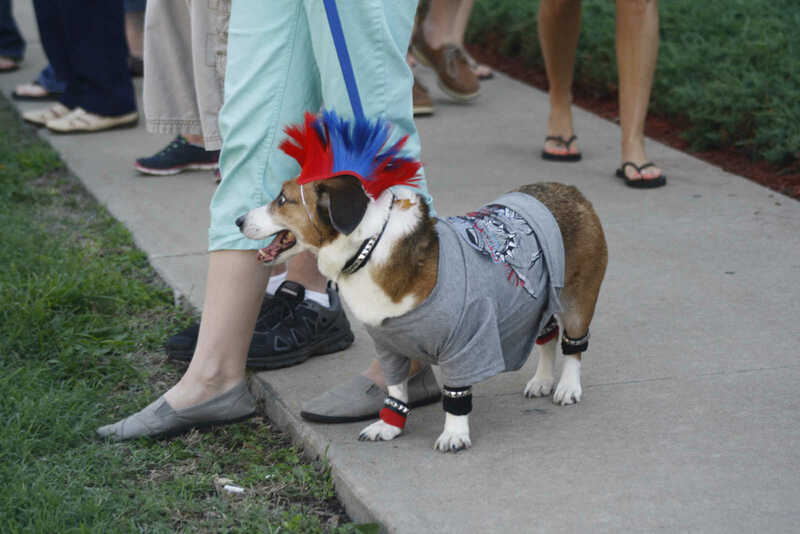 Pup Freddie, who was adopted from Vernon County People for Pets, attended the dog show Wednesday night sporting a mohawk, legbands and t-shirt. Freddie won the best-dressed award in the medium-sized dog division. 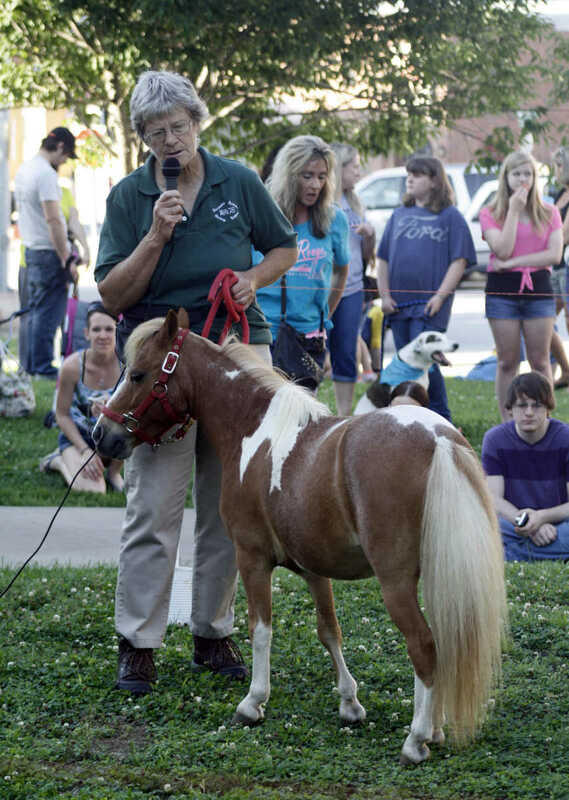 Carol Parmenter, a member of Wonderful Animals Giving Support, shows miniature horse Molly before the Vernon County People for Pets dog show. Parmenter said WAGS has been operation since 2002 and takes all kinds of animals into places like nursing homes, schools, hospitals and libraries for therapy. 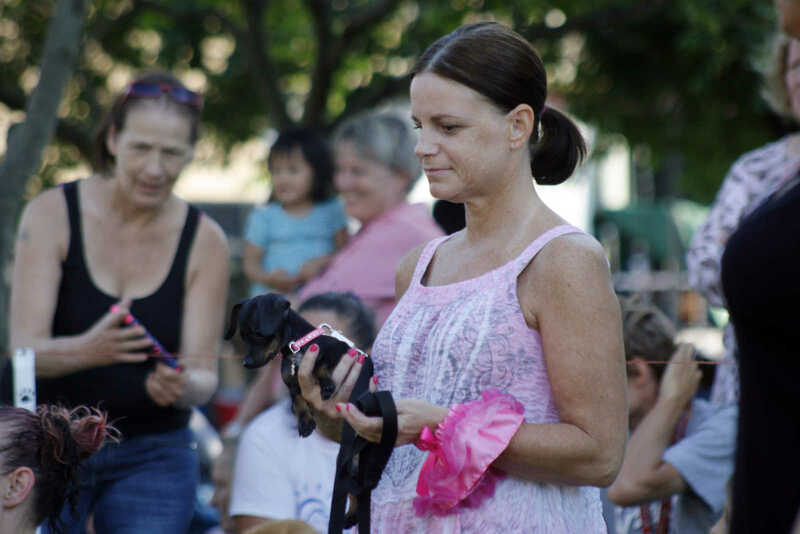 Suzie Baldwin holds her neighbors dog, Little Bit, at the People for Pets dog show. Baldwin said she asked to enter Little Bit into the show because she was small and cute. Little Bit won the award for best dressed small dog. Kira Brown and her dog, Buddy, show off their matching outfits. 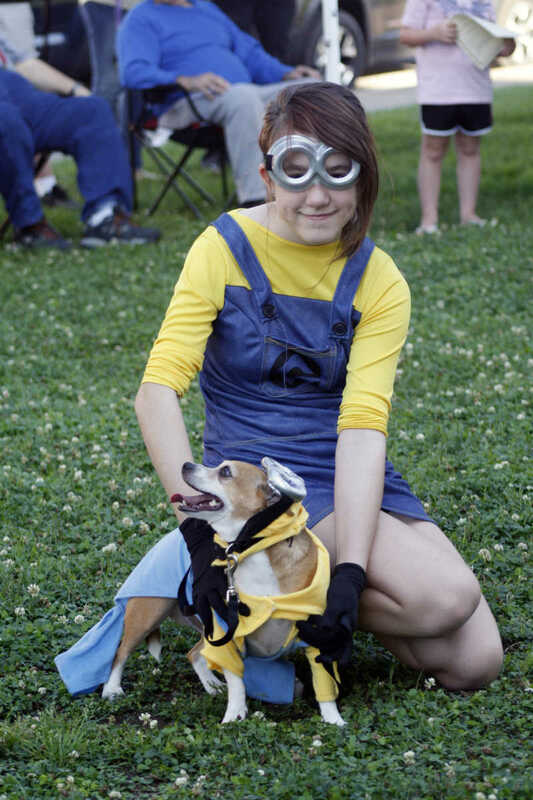 The pair dressed up as characters from the movie Despicable Me, and won the prize for best owner look-alike at the Vernon County People for Pets dog show. Kerri and Sarah Isgriggs await judges results with their dog, Buddy. 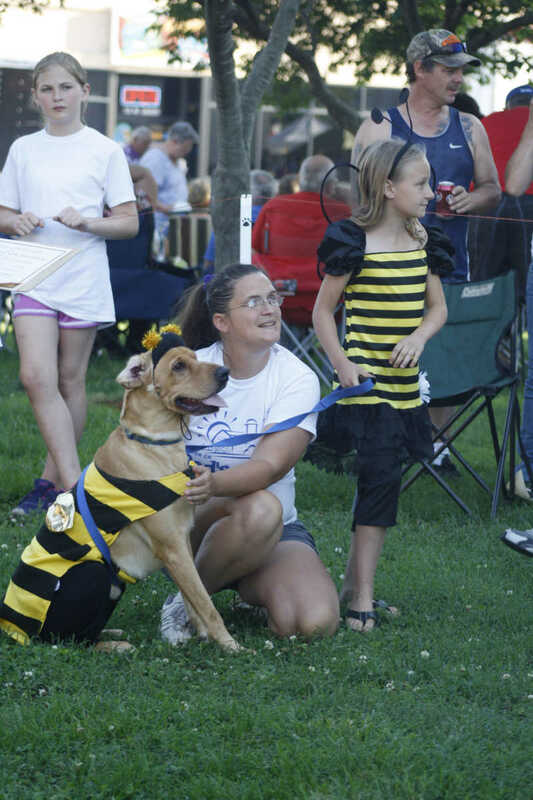 Dressed as bumblebees, Buddy won the award for best owner look-alike in the large dog division. 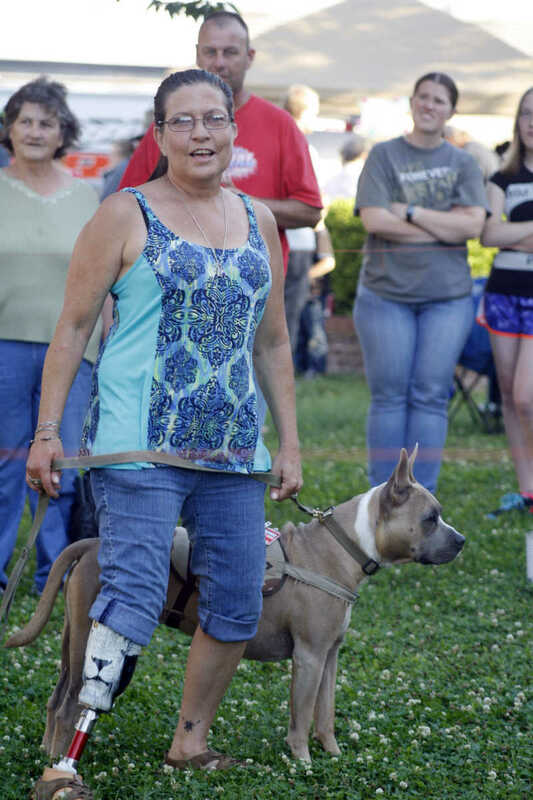 Pit bull Tilman stands with Shelly Smith during the dog show. Tilman, who is a service dog, won the handsome in uniform award during opening night of Bushwhacker Days. Smith and Tilman are members of Dog's Nation, Inc., which trains rescue dogs to assist veterans who have difficulty being alone after returning home from military service.